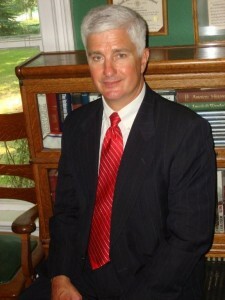 Thomas S. Fredericks, Attorney & Counselor at Law. Labor Attorney, 1999- 2009 Office of the State Employer, State of Michigan.. Negotiated labor agreements with over $ 200 Million in direct costs. Employment law attorney advising eighteen Michigan Departments. Defended the State of Michigan in unfair labor practice litigation; resolved over 200 lawsuits. Successful in every case that went to trial. Director of Labor Relations. 1997- 1999 Cambridge Industries, Inc. Madison Heights. MI. Responsible for labor relations and legal issues for twenty facilities with over 2,000 employees. Corporate health and safety officer. Labor negotiations with the UAW, Steelworkers, and the Canadian Auto Workers. Seminar leader: union free management, supervision, health and safety. Corporate Attorney and Human Resources Manager for NTH Consultants. Ltd, Eclipse Tool, Inc, and T & M Asphalt. Director of Human Resources, 1984-1989 Augat Automotive, Mt. Clemens, MI..
Business Law, 1988-1995 Baker College, Owosso, MI. on: Hiring, Firing, Independent Contractors, Labor and Employment Law, Compensation, Employee Performance Evaluations, and Fair Labor Standards Act. Professor, 1995- Present. Central Michigan University. Labor Law, Labor Relations, and Administrative Law. Thomas Cooley Law School, Lansing, MI. Juris Doctor. January 16, 1982. Michigan State University; BA, June 11, 1976. Co-Chair- Ingham County Republican 300 Club. Officer and Advocate, Knights of Columbus Fr. F.B. McCormick Council # 7545. Catholic Lawyers Guild, Diocese of Lansing. President, Williamston Area Beautification Committee (WABF). Past President, Corporate Counsel, and trumpet player- Lansing Concert Band. Director and trumpet player, St. Mary Brass, Williamston, MI.